If you’re a photographer like me, learning how to take a great image doesn’t necessarily come naturally. It takes a lot of time and work for my photography skill to progress. I’m also a photographer who prefers workshops and reading material that provide camera settings, techniques, and other straight-forward material to work with. 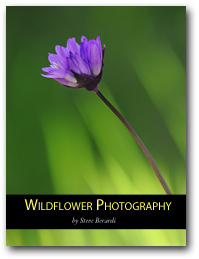 A recent resource I just picked up and read was Steve Berardi’s Wildflower Photography ebook. Since I’m into nature photography, and the read was inexpensive, it was an easy decision to add this to my growing photography reading collection. If you’re not into paying for reading material, Steve has a great blog as well which provides a wealth of information for both beginners and advanced photographers. Here are a few of the example images that you’ll learn about. You can read more about this complete guide for photographing wildflowers on Steve’s website. 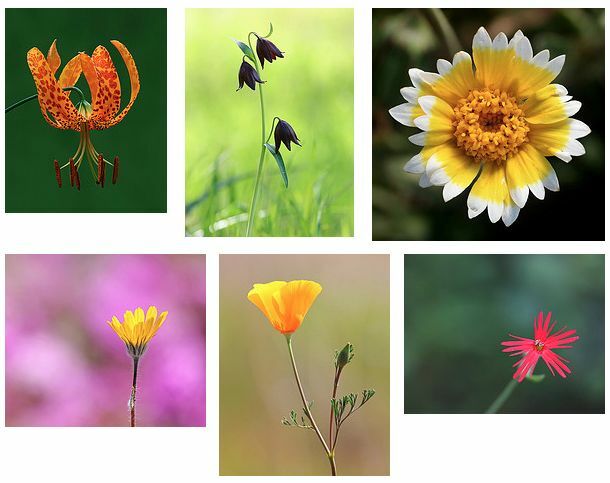 8 Comments on "A Complete Guide for Photographing Wildflowers"
Wild flowers… lovely and savage, beautiful than ever. Teach them how to clip them, but don’t forget to tell them how to love them. Love them or you won’t see them. Wonderful pictures which I always look forward to and enjoy. Quick and to the point. May have to look into this ebook. I always have problems with wind and flower movement when trying to photograph them. That seem like a good book. Can I have one ?